Émile Levassor, business partner of René Panhard, was a brilliant, dynamic engineer. He tested the petrol-powered cars that he himself designed, winning the first automobile race in history, from Paris to Bordeaux in 1895. 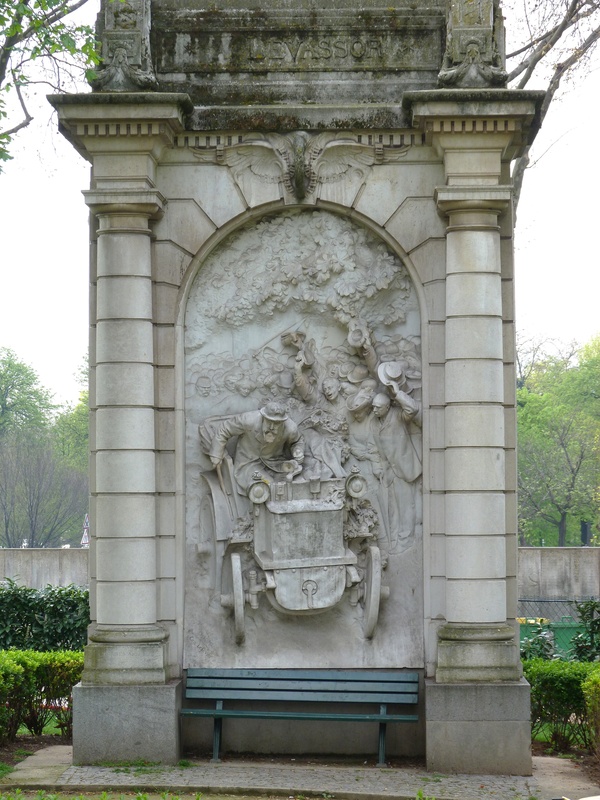 To commemorate this achievement, a monument was erected in honour of the automobile at the entrance to the Bois de Boulogne. The inauguration took place ten years after his sudden death in 1897. On this November morning, dignitaries took turns to pay homage to Émile Levassor and commemorate his pioneering role. Jean Pierre Philippe Lampué, architectural photographerand vice-president of the city council, paid the following tribute: "Dare I admit in front of you that I have never been in one of these marvellous cars, invented and developed thanks to the obstinacy and high intelligence of the man whose image is commemorated in this marble (…) I can say that engineer Levassor has given his country a new industry, an industry which, thanks to him, remains and will continue as an essentially French industry. This good man's invention has procured a new joy for the fortunate on this earth, and he has also put bread in the mouths of thousands and thousands of workers." Book : Benoit Pérot, 1895 Paris-Bordeaux-Paris. l'Incroyable Course des Pionniers de l'Automobile, Edition Timkat, 2009.